A personal Detective is an expert that has been trained in the skills of research and surveillance. Also known as a private investigator these types of experts tend to offer services twenty-four hours a day seven days a week. Numerous detectives possess skills from serving in the army, law enforcement, and federal government. You may have come across the well-known fictional detective Sherlock Holmes, and their reliable side-kick investigator Watson. Present day private detectives make use of today’s technology together with detective skills and knowledge gained from being on the job and from the internet. Who would use a private detective? People from all professions and all walks of life use private detectives to help them solve problems, find people and install technical equipment. Solicitors, hairdressers, warehouse workers, human resources in large and small business, the police and many more, almost anyone could have a need for a private detective. All services will be carried out in a non-traceable and undetectable manner by qualified professionals using stat of the art technical equipment. 1. Surveillance — keep track of somebody’s each and every move and report with photographic and video evidence. Agents will use covert body cameras and stat of the art digital cameras among other spy gadgets and equipment. 2 Trace a missing person â?? Locate by using information within the public domain including internet searches, database searches. 3. Mobile Telephone Forensics â?? Carry out repairs on frozen telephone and retrieve lost information from the registered ownerâ? ?s mobile telephone. 4. 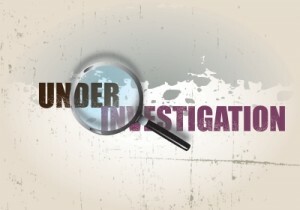 Infidelity Investigations â?? There are many ways to investigate infidelity such as through covet CCTV camera installation, hidden or disguised cameras around the home, GPS tracking device on spouseâ? ?s vehicle and surveillance sessions. 5. Locate a targets current place of work â?? Fit a GPS vehicle tracker to target car and analyse report, carry out surveillance or make enquires through pretext calls to target. 6. Background checks â?? Many employers require a background check on job candidates to validate information on CV, this can include reference checks and qualification checks among other methods. 7. Custody conflicts — Obtain evidence that an individual is not fit to have child custody. This will include surveillance and information obtained through databases and internet searches. 8. Phone number research.-. Obtain details of telephone ownership or if phone is disconnected through pretext calls to the number and internet and database searches. 9. Company Assistance â?? CV check, worker research, insurance scams, tenant investigation and screening. 11. Digital photography and video — Obtain photos and film footage associated with the different situations a case will involve. 12. Victim help â?? Working with the Police to assist in time consuming cases. 13. Childcare professional hidden digital cameras and surveillance — Be sure you can trust that your childcare provider is working in the way you have agreed, also to ensure that your children are behaving accordingly. 13. DNA/Paternity screening – Carry out a DNA test to prove or determine paternity. 14. Polygraph screening â?? A certified polygraph tester will carry out a lie detector tests. 15 Close Protection services – Professional safety (Bodyguards/ companion providers). 17. Accident Scene Investigation â?? Recording information at the sight of an accident or incident including taking pictures and video. 18. Unique projects — Other things you can imagine that an expert Private detective can assist you with. There are specific guidelines you have to think about when selecting a detective. Remember that the function the private detective will carry out for you is private and remains confidential between a person and themselves. Therefore if any individual you are speaking with does not assure discretion think before speaking with them. Detectives need to provide insurance to cover any accidents to themselves or others during the case or any damage to property if they are not you will be held responsible for payment. A reputable and established detective shouldn’t have any issue showing certificates associated with insurance policies. As your will be working closely with this person and they will need to know personal and private information about yourself and your target it is a good idea to choose a person that you get on with. Lastly make sure you have a written agreement with the person listing all the work they are going to carry out for you and the cost agreed. This information will safeguard both yourself and the private detective and assist you in finding a dependable detective. Thanks for sharing this article, its just what I was looking for. I watched a movie the other day that had a private investigator TX in it. I wanted to know what exactly in tales hiring a private investigator. I am intimidated by it, what a very intense job. I hope I never have to hire one, but if I do, I wont judge there skills.